Dorothy Malone, who died in January, in a publicity photo for her Oscar-winning film, Written on the Wind. 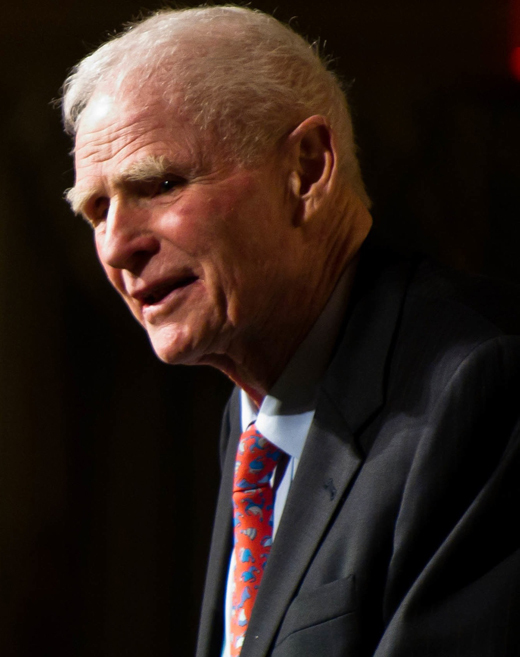 Two-term New Jersey governor Brendan Byrne died of a lung infection in January at the age of 93. Byrne is remembered as one of the most popular Democratic politicians in the state, as well as for his unimpeachable reputation for honesty. Byrne’s introduction of a state tax to improve funding for public education and efforts to preserve the Pinelands – an expanse of over one million acres – demonstrated his commitment to public service and protecting his home state. Byrne was born in 1924 in West Orange, New Jersey, into a Catholic family of Irish descent as one of five children. He had a multi-faceted career, being decorated for his service in the U.S. Army Air Corps in World War II. Byrne used his G.I. bill to attend Princeton University, going on to obtain a law degree from Harvard Law School. He led a successful legal career and moved his way up in politics, eventually serving as a Superior Court judge before winning the gubernatorial election in 1973. Respected Irish American journalist and head of the Quinnipiac Poll Maurice Carroll died of colon cancer in December. He was 86. Known as “Mickey” to friends and colleagues, Carroll worked in the field of journalism for over 40 years, reporting for a total of eight newspapers over his career on such critical events as the Civil Rights marches in the south, President John F. Kennedy’s assassination in Dallas, and the subsequent murder of Lee Harvey Oswald, for which he produced a legendary eyewitness account. Carroll took a job as a journalism professor at Quinnipiac University in 1995 and turned the university’s poll into the well-regarded resource it is today. 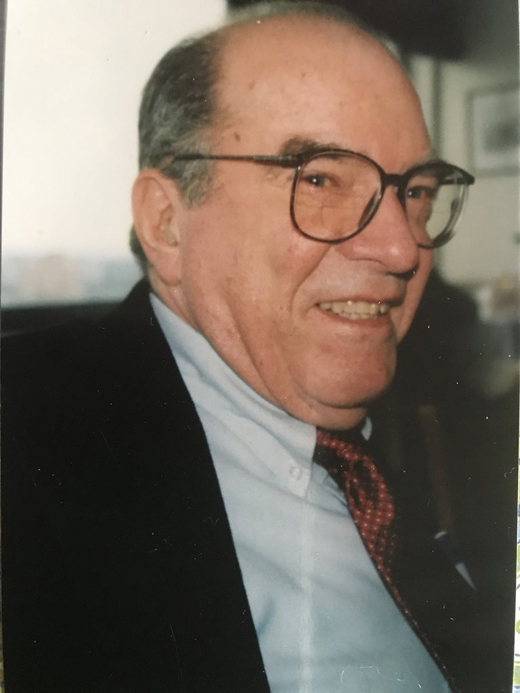 “Mickey Carroll was a reporter in the finest tradition of American journalism, a dedicated educator and a knowledgeable commentator on the American political scene,” Quinnipiac University president John Lahey said. Carroll is predeceased by his son, Patrick, and second wife, Beth Fallon. He died in the home of his first wife, Peggy Wade, with whom he maintained a close friendship. He is survived by Wade, his sister Anne, three children, and ten grandchildren. 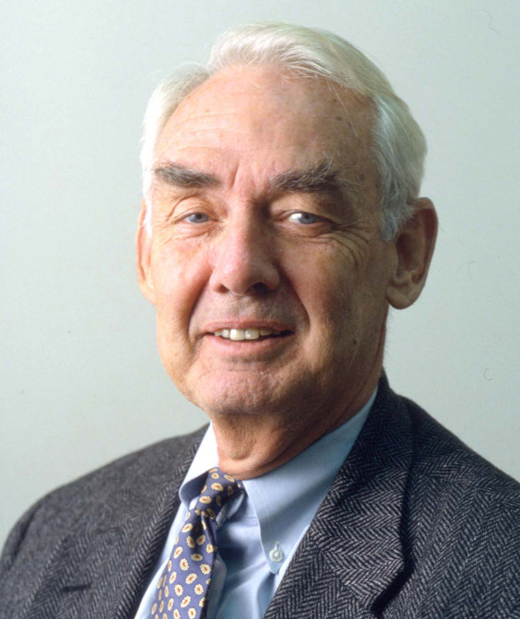 James H. Clark, a Philadelphia civic leader, Verizon manager, and patron of writers, died of pneumonia in January. Clark, who was born in 1932 to a humble Irish American family in Penn Wynne, Pennsylvania, learned early on in his life the importance of two things: reverence for his Irish ancestry and family comes first. Clark joined the Navy in 1951 and would serve for four years as a radioman aboard the destroyer U.S.S. Lloyd Thomas. Two years later, after starting a job at Bell of Pennsylvania, he met and married Mildred McMonagle, with whom he had four children. In the 1980s, after the government-mandated split of the Bell System, Clark was assigned to Verizon and from 1982 to 1988 helped organize Verizon’s telephone directory. In retirement, he embarked on a family research project, discovering that he was a great-grandson of “Professor” John H. Clark, a famed 19th century Irish American bare-knuckle boxer. His great-grandfather’s love of writing inspired James to begin a writing group, and he founded Writers’ Cramp in 1988. Clark also served as the president of the town’s civic association, coached local sports teams, and wrote about his family history. Clark is survived by his wife, four children, 10 grandchildren, two great-grandchildren, and a brother. Anna Mae Hays, the first woman in the United States to serve as a general in the armed forces, died in January at the age of 97. 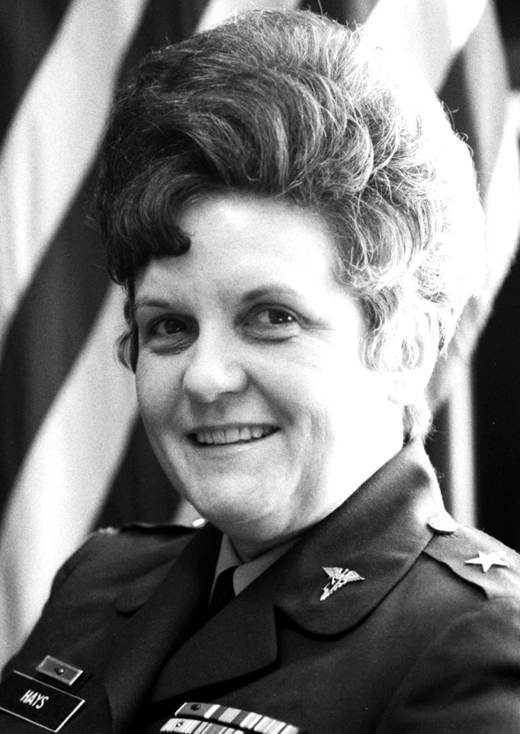 After enlisting as an army nurse in World War II, Hays established herself as one of the Army Medical Corps’ top leaders over her three decades of service, eventually earning the rank of brigadier general in 1970. Hays had an especially significant role in recasting the treatment of women in the U.S. military. Her efforts helped raise the standards of education for women being admitted as U.S. army nurses, as well as softening the heavy restrictions regarding their enlistment. In between stints of overseas deployment as far-reaching as India and South Korea, Hays served as one of President Eisenhower’s private duty nurses in 1956 and nurtured a very close relationship with the former general in the years afterward. When Hays was promoted to general more than two decades later, Eisenhower’s wife, Mamie, presented her with the president’s own general’s stars from his time in WWII. Hays rejected burial at Arlington National Cemetery in order to be interred along with her family at Grandview Cemetery in Allentown, Pennsylvania, where they settled when she was 12. Though born in Buffalo, New York, she regarded Allentown as her true hometown because her parents’ mission for the Salvation Army had previously moved the family to many different places before settling in the Lehigh Valley. Her father, Daniel McCabe, was born in Ballymurphy, County Carlow, and her mother was of Welsh ancestry. “She was an amazing woman who accomplished some great things and lived life on her terms,” Doris Kressly, Hays’s niece, told the Allentown Morning Call. “She lived a magnificent life and I’m glad she got to live it the way she did.” In addition to Kressly, Hays is survived by several more nieces and nephews. Her husband, William A. Hays, died in 1962. 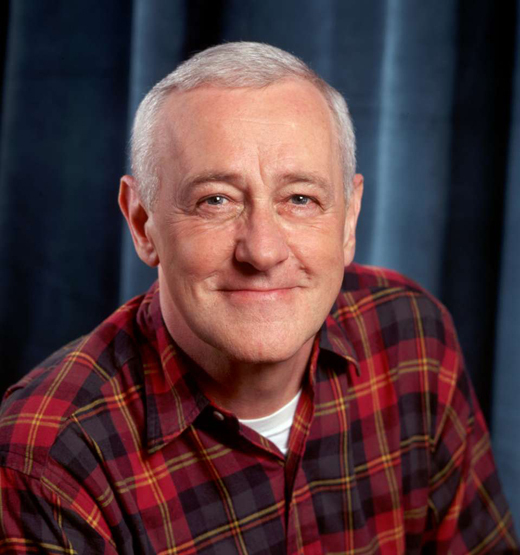 Actor John Mahoney died in February at the age of 77 of throat cancer in Chicago. A fixture of the Chicago theater community with a sharp sense of humor, Mahoney was best-known for his role as Frasier Crane’s surly ex-cop father in NBC’s Frasier. Born to Irish parents in 1940 in Blackpool, England, Mahoney first visited the United States at age 11 when he came to Chicago to visit his elder sister. He returned with his sister’s sponsorship in 1958 and became a citizen in 1959. Following work as an editor for a medical magazine and later as an English teacher, Mahoney discovered acting, albeit later than most. In 1979, he was invited to join the fledgling Steppenwolf Theatre by Gary Sinise and John Malkovich, both nearly 15 years his junior, because the ensemble of 20-somethings realized they needed an actor who could credibly play older, fatherly roles. Mahoney’s niche was set. Academy Award-winning actress Dorothy Malone died in January at the age of 93. Best known for her role as Constance MacKenzie in the 1960s series Peyton Place, Malone had a long and eventful career in film and television, working with a number of Hollywood legends, including Rock Hudson and Cary Grant. Malone’s biggest critical success came in 1957 when she won the Oscar for Best Supporting Actress for her seductive portrayal of Texan oil heiress Marylee Hadley in Written on the Wind. Dorothy Eloise Maloney was born in Chicago in 1924 to Robert Ignatius and Esther Maloney, devout Irish Catholics. The family soon relocated to Dallas, where Malone attended the Ursuline Convent before beginning a pageant career and modeling for Neiman-Marcus. She attended Southern Methodist University intent on studying nursing, but eventually found her way to drama. In 1943, she signed a contract with Warner Bros., shortened her name to Malone, and launched a 50-year screen career that ended with her role as Hazel Dobkins in 1992’s Basic Instinct. In addition to her daughters, Malone is survived by her brother, Robert, and six grandchildren.